An influencer is someone on social media who has established credibility within a specific industry and gained a large following because of it. They are people who engage with their followers and influence with authenticity and passion for a topic. According to a recent survey, 70% of millennial customers are influenced by their peers when it comes to making a purchase. People are more willing to buy into a product if it’s recommended by someone they trust, not by the brand itself. In influencer marketing, you’re promoting products to a group of people who have already developed a “circle of trust” with the influencer. Because they have gained a following by doing what they love, influencers have a more intimate relationship with their audience. They are viewed more like a peer than as an elite figurehead. Starting out with influencer marketing, it’s important to partner with people who have passion. These people most likely developed a consistent, growing following in the first place because of their interest in a specific topic that others related to. Thus, their followers will be made up of a specific group of people who are also interested in that topic. The focus then is on pursuing the individuals, not on the market as a whole. Therefore, it is absolutely critical that you know your own audience before reaching out to an influencer. It’s five times more expensive to take on a new client than it is to keep an existing one. So how do small businesses attract new customers without spending a fortune on advertising? 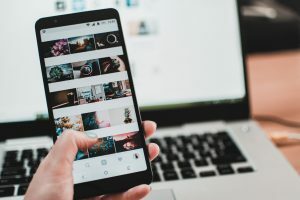 By working with social media influencers, companies don’t have to shell out as much money as they would for a celebrity endorsement, television commercial, or editorial campaign. In fact, some industries don’t have to shell out any money at all on partnerships because people are more incentivized by special perks and free product than they are by compensation. Marketing firms can work directly with that influencer without going through managers or other middle men.